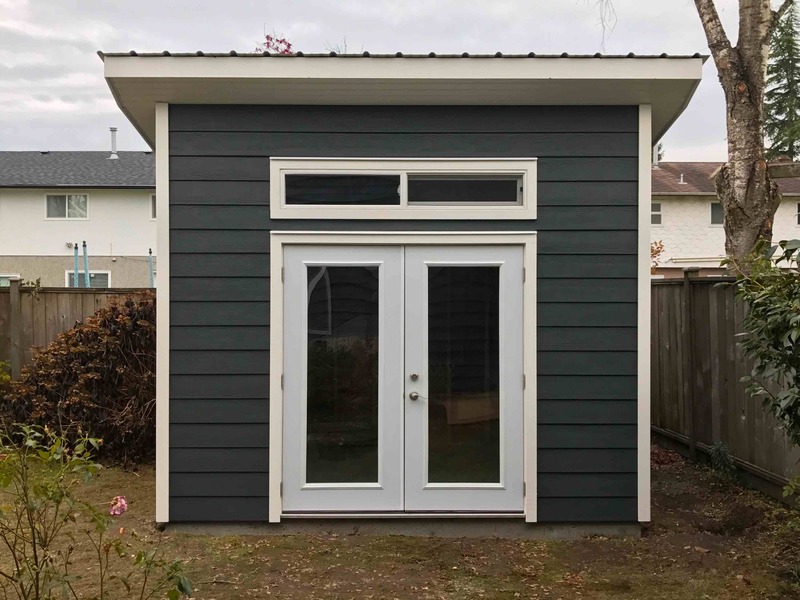 This shed was built to add character to the clients backyard. 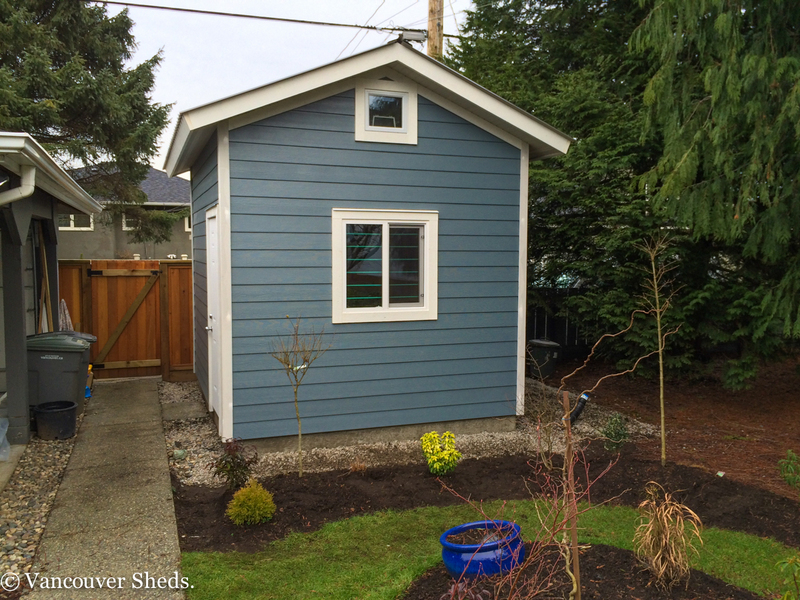 This garden shed contains two rooms, one room is used for storage and has a workbench. The second room the client uses for potting plants. 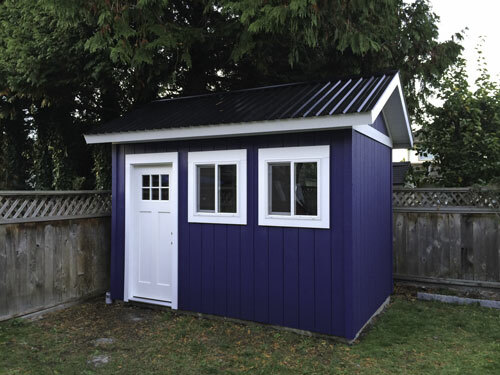 This shed also contains a small pergola to add more character to the shed, and is a place to hang plants from. As part of this project we also landscaped the clients backyard and added a new deck. 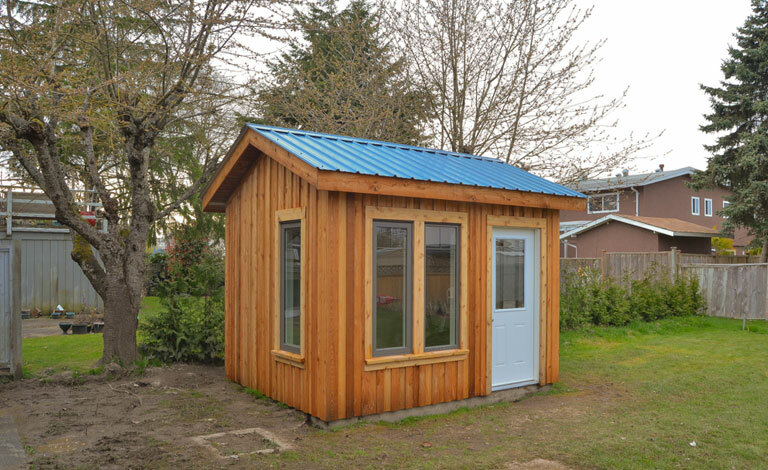 Another version of this shed has been built and shipped to the Cariboo and used as a cabin. 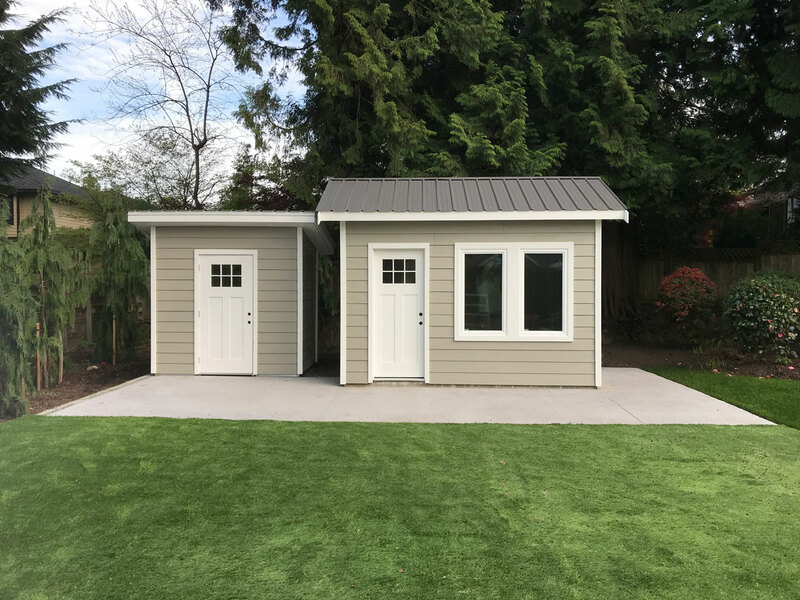 This shed is one of the most elegant sheds that we build, it has nine windows, two rooms, two roofs, a trellis, a glass door and many other features. 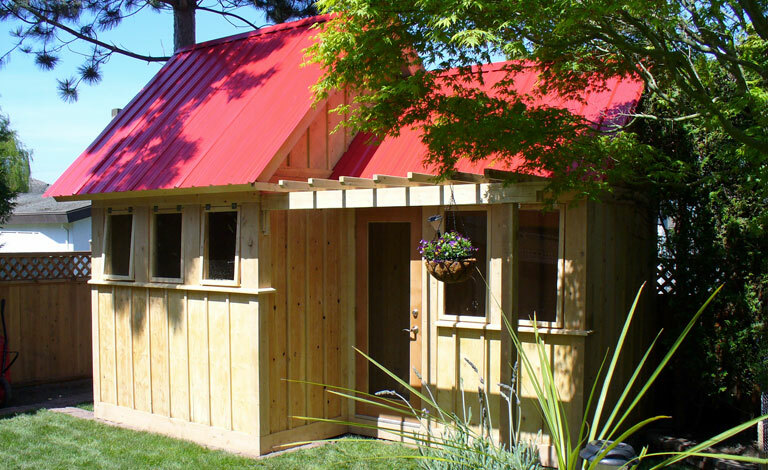 It can be used for a heated office, a potting shed, or elegant storage. 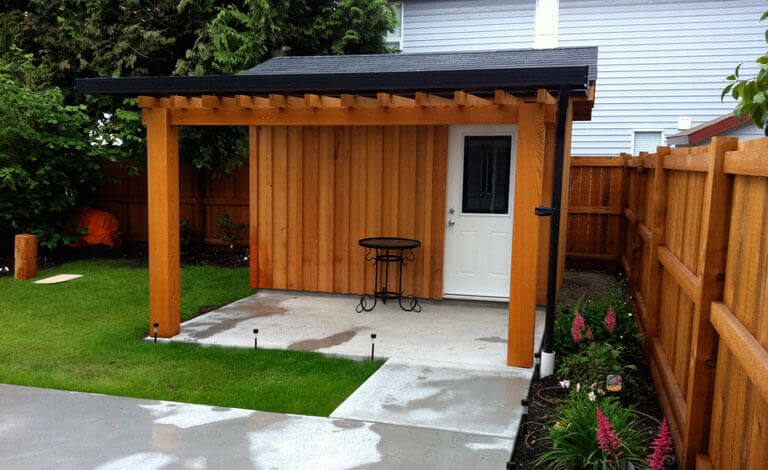 It’s foundation can be pressure treated 6×6’s, concrete piers, or a slab on grade foundation, allowing it to be built anywhere from Vancouver to New Westminster to Delta. The walls can be insulated and the interior finished with whatever the client chooses. 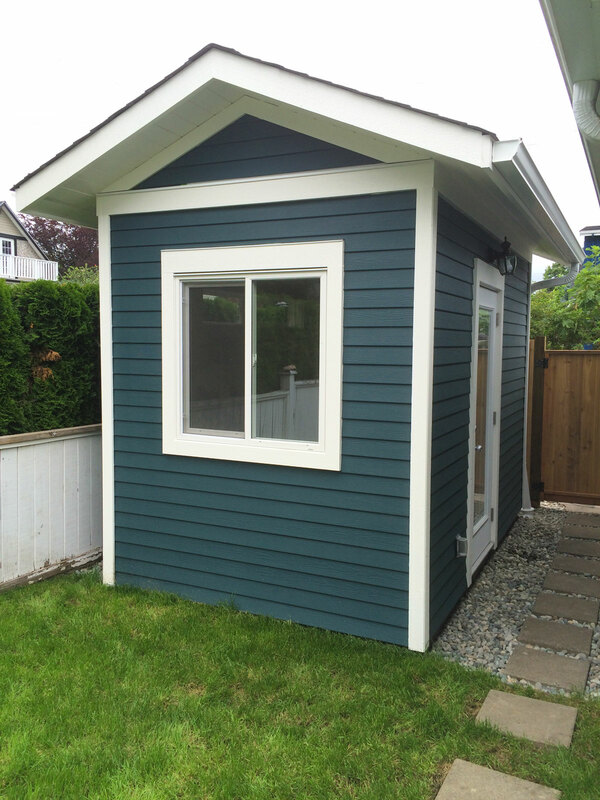 It can also be configured to allow for attic storage space.